RTITN Mission: RTITN is a training network which is focused on Rural Tourism as a way of improving the quaility of life for rural communities. 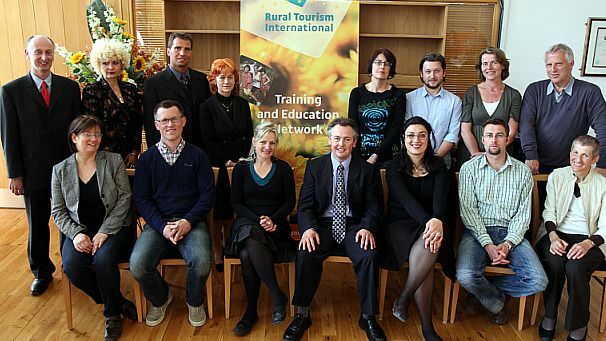 The vision of RTITN: To provide a network for trainers in Rural Tourism, to exchange knowledge, experience and best practice. To develop courses for entrepreneurship in rural tourism in accordance with the needs of the sector whilst incorporating the most up-to-date research available. This network has dedicated and hard-working members who are interested in developing this network further. This can only be done by attracting new members from various sectors including; trainers, small to medium rural enterprises and from larger training institutions. We would like to receive your thoughts and comments on our network, what we do and how you could become involved in our network.